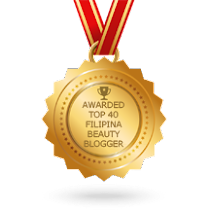 Mink lashes that were once custom-made for exclusive celebrities like Oprah and Madonna are now available for every Filipina to experience! Soft, lightweight, velvety, flexible and natural-looking, every GlamBox Mink Lash gives you the look and feel of luscious celebrity lashes. 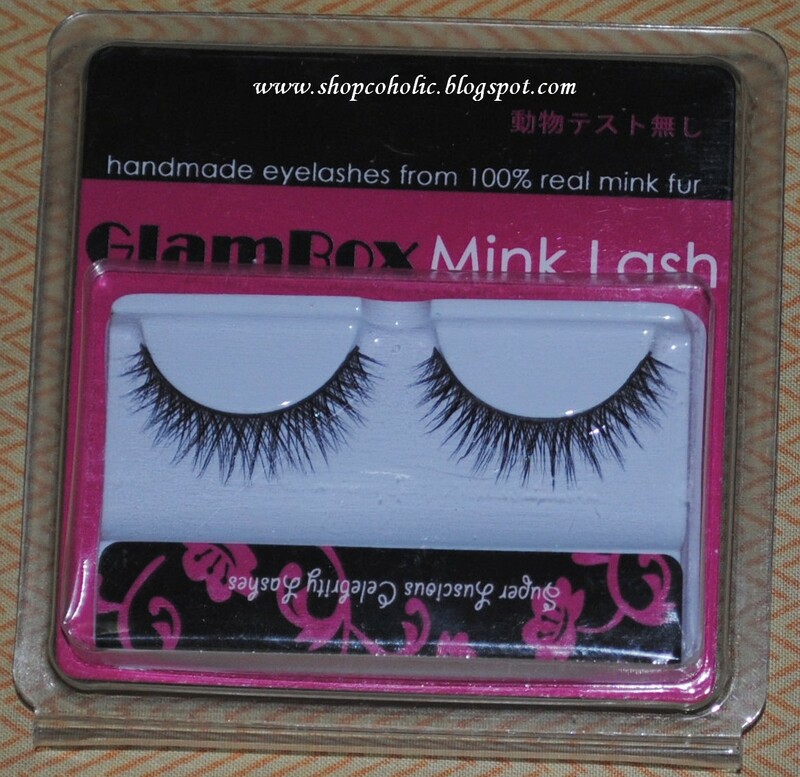 GlamBox Mink Lashes are made from individually selected mink furs that have been harvested by gently brushing live farm animals. (We are very animal friendly!) They are not chemically treated or dyed to ensure the velvet appearance that can only be found in mink fur. 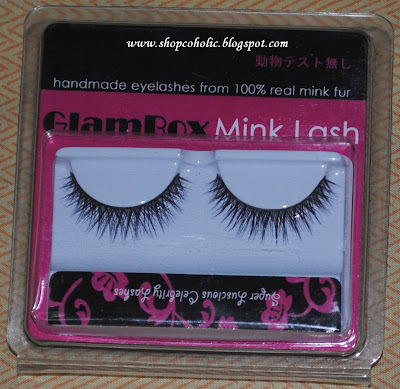 GlamBox Mink Lashes are 100% real mink fur and are 100% handmade. They are sterilized and are hypo-allergenic. Falsies can be used 15-20x with proper care. Comes with a small complimentary tube of eyelash glue. * comfortable to wear; doesn't feel heavy at all! 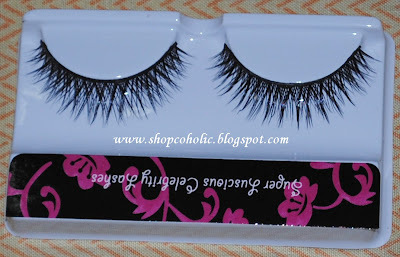 * lashes are a bit long for my chinky eyes, so I have to cut the ends to fit my eyes. * the free latex glue already dried up, but no worries since I used my unbranded eyelash glue from China. * expensive - but if you'll be able to use this for 15-20 times then its worth it! Curl lashes, apply black eyeliner and mascara before attaching the mink lashes. Retouch eyeliner if needed to hide the lash band. Make sure to attach the falsies close to your natural lash line. I only use false eyelashes on special occassions and pictorials and I think I won't be needing a new one soon since this will last me a long time with proper care. it looks really natural noh?! Are you a fan of false eyelashes? And by the way, only 2 more days till my GIVEAWAY ENDS. Click HERE if you want to join. Bagay mo! I love the side view photo! Pretty! Made me wanna try false lashes one day. this is kind of expensive for my taste... but it indeed looks natural! that's so cute! it brightens up your eyes. 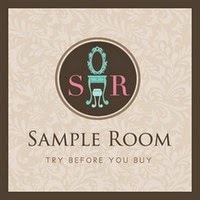 I've been following ur blog ever since, but I've made a new one which is mainly for my of make up. Hope you have some time to drop by. thanks! looks really really great! Makes your eyes pop! I replied your coment on my blog, thanks so much for the visit ^^ I loved your blog too!! So pretty! They look so natural, I've been looking for cheap natural looking lashes tho... any suggestions? Are there other lashes available? Like shorter ones, or different color?